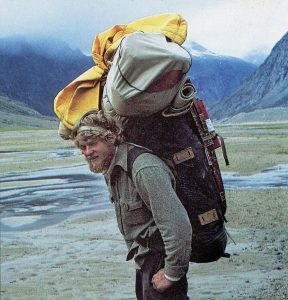 Charlie Porter was a legendary big-wall climber and adventurer. 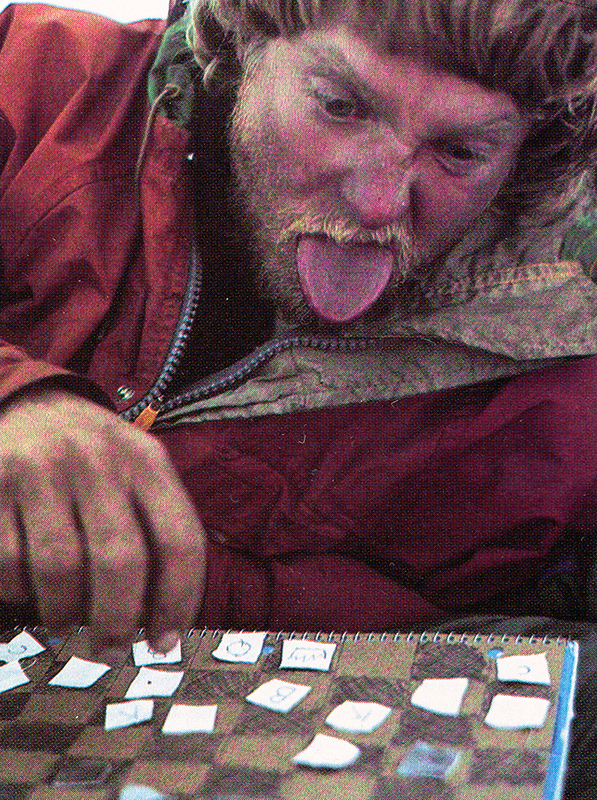 His exploits spanned from El Capitan to Baffin Island. Check out this exclusive Rock and Ice profile and interview with Porter, first published in January 1993. 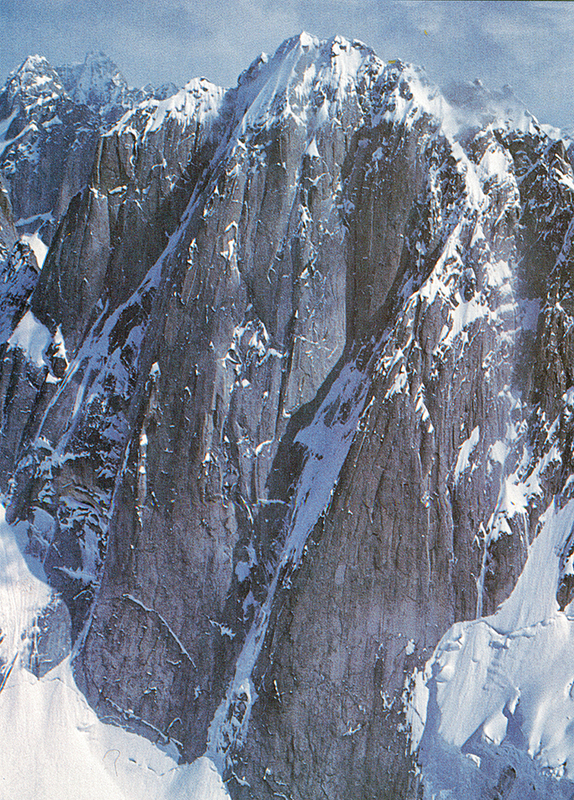 Charlie Porter on the second ascent of Tis-Sa-Ack, 1972. Photo: Jack Roberts. Living in Yosemite during the early ‘70s was a heady experience for an impressionable young climber. It was as if the fairytale world of climbing literature, complete with heroes and villains, and all the adventure a rookie could handle, had magically come to reality. Printed names had become living faces; living faces, friends. Experiences shared and events witnessed left indelible impressions, playing an integral part in shaping my climbing philosophy. The most unique and influential character from that period in my life was a soon-to-become-legend by the name of Charlie Porter. I can no longer recall when I met Charlie, but my first memory of his climbing prowess is unforgettable. It was late summer 1972. I was 17, spending my first full season in the Valley. I heard an amazing story about a guy who soloed the first ascent of the New Dawn on El Cap. He’d dropped his haulbag low on the route, then continued to the summit – nine days on the wall, sleeping in slings, with only the crude insulation of an ensolite pad and cagoule for warmth. I couldn’t believe it! What kind of person was capable of a feat like that? That same summer, Charlie had also completed the coveted second ascent of Half Dome’s Tis-Sa-Ak. But the capper came in the fall, when he and a partner, Gary Bocarde, established a striking route up a bulging, seemingly blank headwall high on the southwest face of El Cap. It soon became known as the Shield. While they were on the Shield, I was helicoptered to the summit of El Cap to participate in a big rescue of an injured climber from the Nose. During the flight – my first, and a pretty exciting experience in its own right – I was treated to the unforgettable sight of Charlie and Gary dangling thousands of feet above the ground. The rescue was a success and the victim was lowered to the Valley floor. 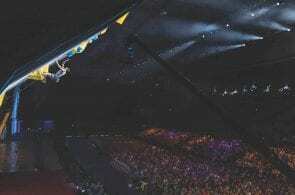 The whole affair ended like the grand finale of a stage show, with the last of the rescuers descending at night, under a battery of floodlights illuminating El Cap like a gigantic stage backdrop. All of this was pretty exciting stuff for a Valley newcomer, but it was soon to be eclipsed by accounts of Charlie’s heroics. Word had gotten out that Charlie had, on one pitch, placed 35 RURPS in a row! That was unheard of. The news spread like wildfire through the climbing community impressing all, including Royal Robins, who was moved to write: “(Porter) has gotten inside the RURP and is looking out.” The Charlie Porter legend was born. Climbing at a time when the focus of the valley elite had shifted dramatically towards free climbing, Charlie was content to do his own thing – climbing big walls. He admirably filled the void left behind with the departure of Harding and Robbins from fulltime residency in the Valley. Charlie became a larger-than-life figure to me. 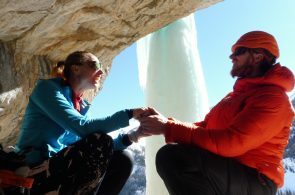 That November, when most climbers had vacated the Valley, word went ‘round that he was preparing for another new route – he was looking for a partner, and was willing to go with just about anyone. It seemed like a once-in-a-lifetime chance – climbing a new route on El Cap with Charlie Porter! Though my heart ached to go, I couldn’t find the courage to approach him and, in a decision I regret to this day, I let the opportunity pass. Charlie went on to solo Zodiac. Eventually I got to know Charlie quite well, as anyone who spent much time in the close-knit Yosemite climbing scene would have. To an idealistic youth, who believe in honesty and – if you will – chivalry, my first impressions of many of my early idols were disappointing. More often than not, these people came across as a little too full of themselves, a little too competitive, and a little too quick to judge others while turning a blind eye to their own shortcomings. This, however, was not the case with Charlie. His character left a bigger impression on me than the sum of his climbing accomplishments. Climbing at a time when the focus of the valley elite had shifted dramatically towards free climbing, Charlie was content to do his own thing – climbing big walls. He admirably filled the void left behind with the departure of Harding and Robbins from fulltime residency in the Valley. 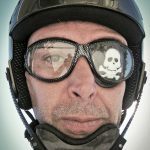 Over the next several years, climbing with anyone or alone, in good weather or bad – but always in impeccable style – Charlie was the major force behind a host of modern El Cap classics such as Tangerine Trip, Mescalito and Excalibur. Eventually, seeking greater challenges, Charlie stopped coming to the Valley and headed north to Canada and Alaska. In the next several years he did the first ascent of the southwest wall of the Moose’s Tooth, the first ascent of Polar Circus, soloed the first ascent of Mt. Asgard’s biggest wall, did the first solo of Denali’s Cassin Ridge and, by way of its most difficult face, the first ascent of the Kichatna Spires’ Middle Triple Peak. I would not see Charlie again for 15 years. The last I’d heard was a rumor that he was planning to row a dinghy to Antarctica. Over the years I often encountered climbers who were familiar with Charlie’s accomplishments and eager to know what became of him. I wondered, too. It was a good deal of excitement and curiosity that I greeted the news that Charlie had returned to the Valley this fall. I wondered what it would be like to see him again. Would I even recognize him? I found him at the base of Ranger Rock where Ron Kauk, another long-time admirer, was introducing Charlie to modern gadgetry – fancy harnesses, sticky boats, and Friends. Charlie looked a little different – gone was the trademark bushy beard, and perhaps he had gained a little weight, but his voice and hearty laugh transcended time. He seemed genuinely excited to be back in the Valley. I finally told Charlie about having wanted to climb the Zodiac with him, and my regret at not having the courage to approach him. He got a laugh out of it, assuring me that there were plenty of other routes we could do together. This is something, after all these years, I am really looking forward to. Load-carrying up the weasel valley toward Mt. Asgard, Baffin Island, 1975. Photo courtesy of Charlie Porter. I started in 1966 in New England when I was in high school. I hitchhiked out west in the summers to climb in the Canadian Rockies and the North Cascades. When I got out of high school in 1969, I spent June to November in Yosemite. That fall it seems Steve Wunsch and I were the only guys there. We did the second free ascent of the DNB [The Direct North Buttress of Middle Cathedral Rock]. On the way down, Steve slipped and got a bad concussion. It was kind of ironic that, having done the hardest free climb of the time – that was the DNB’s reputation – Steve would get knocked out on the trail. I guess he hasn’t been the same since (chuckles). On the first complete ascent of New Dawn, you dropped one of your haulbags low on the route. At that point most climbers would have retreated, but you decided to continue. What happened? On Lay Lady Ledge, I had just unhooked one of my haulbags, but hadn’t yet tied it to the end of the haul rope. It started spinning down the ledge. I ran after it – I had unclipped, too – and almost ran off the edge. I still had the water and a little food, and that night I made a tunic from the ensolite pad I had in the other haulbag to protect the water bottles, and I stuck my feet inside the haulbag. That’s how I slept during the rest of the route. You did the Tangerine Trip with a partner who reportedly got bedsores from spending so much time in his hammock belaying you. The route that became Tangerine Trip was Royal Robbins’ attempt to do the first solo of a new route on El Capitan. Robbins only got a few pitches up. I went up there in April 1973, with Jean-Paul de St.Croix who, at the time, hadn’t had much climbing experience. We got along quite well and had a good time. We encountered mist and snow and ice chunks falling from the rim, but the route was so overhanging that it was completely safe. I remember finishing the bolt ladder on the headwall and coming blindly into the crack (leading to the summit), which I hadn’t seen from below. It was a good bit of luck. You did Mescalito with Canadians Hugh Burton and Steve Sutton and a Wyoming Cowboy named Chris Nelson. Hugh and Steve were probably the best nailers of that time. They both had very good classical nailing technique. “Classical” means we didn’t take chisels up there and make our own placements. We considered that taboo. It would be better to place a bolt than to carve the rock. Basically Steve and Hugh used very traditional nesting-piton technique, which is a real art. We were also using hooks and copperheads – in natural placements only. The Wyoming cowboy had a new climbing rope, so we brought him along. He was very game and actually did some very hard expanding-flake pitches, too. I remember him falling into my hammock a few times. He sang Carlie Pride songs all day and chain-smoked all night. We had a good time. How was the Valley changing during that time? 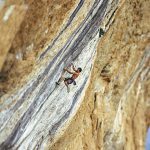 In 1969, the emphasis had been on big walls and being a well-rounded climber, but by ’72, the focus had switched to one- or two-pitch free climbs – cracks mostly. For me it was quite nice because there was an open field, lots of great wall routes to do and not many people wanted to go out and put in the work. I remember Bev Johnson saying, “Hey, Charlie, get with it! Short, hard free climbing is where it’s at!” I’d just get all my pitons and wander off and do something else. West Face of Middle Triple Peak. Porter’s route starts in the center of the smooth buttress and goes directly to the summit. Photo: Charlie Porter Collection. Why did you leave the Valley? That’s a good question. I came back East, did some construction, got more into other interests. When you’re in the Valley, the only thing you can really do is climb. My time in the Valley was pretty short (’69,’72,’73,’74) but it was an epoch when I concentrated a lot of energy on those walls. I had a reputation of sorts in the Valley: I never took a camera with me, I never wrote up what I did. For me, climbing was a very personal thing – and it still is. When I first came to Yosemite, that was the general attitude. We thought climbing should be an amateur sport – or not even a sport at all. It was a neat game with no written rules, a game of one-upmanship. It had a bit of mystical aura about it. You could say we were romantics. Many of your climbs were done solo. Did you consciously set out to be a solo climber? No, but I taught myself how to aid and free-climb solo, because I didn’t know many climbers when I was starting out. I also have a tendency to try to learn everything by myself. I do like to climb with other people, so I probably did 50% of my climbing solos and the other 50% with some really good people. Big walls go slower when you do them alone, but you get a very good feel for your placements. You clean every pitch that you lead, so you can really fine-tune your nailing! Climbing can be a big one-upmanship game, and solo accents are just one more notch up on the adventure level. I think the experience of being alone up on El Cap is pretty neat too. How was your solo rig set up? I used prussic knots tied in 7mm and 8mm Perlon attached to a locking carabineer on my waist loop. I’d grab the rope with my teeth and slide the knots up. Ever take any falls on your system? Of all the times I climbed, I only took two falls – both on El Cap – when I was climbing with a partner. I never liked to fall very much. You tinkered around for years, designing and building various types of climbing equipment. When I came to Yosemite, my dream was to be a little bit like Chouinard and make pitons. I made a type of RURP – called a “grasshopper” because it had two legs that came down – for horizontal placement. I also made some other types like the old CMI Crack-Tracks, which could be hammered into a corner. Grasshoppers were kind of nice because they had a hooking ability. They had two tabs that bent underneath at a 45-degree angle [to support the thin blade in horizontal placements], so they couldn’t get levered out or bent down. I made some of the first expanding sliders – just a nut that slid up and down over another on a cable. How many climbers does it take to mime a moose with one antler? Moose’s Tooth Northwest Summit, June, 1974. Charlie Porter, John Svenson and Mike Clark. You’re the first climber that I know of who did any serious ice climbing in Yosemite. Had you always been an ice climber? I had climbed with George Meyers at Huntington’s Ravine [New Hampshire] when we were in high school. Back then everybody was using Stubai or Grivel crampons and ice axes, which didn’t have curved picks. If we were frontpointing at all, it was in conjunction with ice dagger-type tools, not by swinging the axe. Then we go the idea to heat up our picks and bend them – and that’s exactly what I did. I curved all my ice axes and started frontpointing. I did my first Yosemite ice climb with Rick Reider or Mead Hargis – an early attempt of the Widow’s Tears. I also did some soloing in the ice gullies in the Palisades. In 1969 when I climbed the Nose with Bugs McKeith, I became interested in what was going on in Canada. There were rumors of a massive ice climb that everybody had backed off of, so I went up there around Christmas in 1974 with Bugs and the Burgess twins. How did the Polar Circus get its name? I was leading one of the first very thin ice pitches, trying to get these old Salewa ice screws in, but they kept coming all the way out. I was all tangled up in my equipment and I was getting a bit freaked out. I complained, “This is nothing but a Polish circus!” For the rest of the climb we called it the Polish Circus. Bugs changed the name to Polar Circus. Adrian [Burgess] said you had such a high energy that he and Al put Valium in your hot chocolate at night so you’d sleep later. (laughs) They had a bit of energy, too! We had a good time. I remember driving up there in my old Volkswagen bus (which I had rolled in Yosemite so the doors were all kind of bent – a lot of air came in), and it was about 40 below zero. The twins were wrapped up in heavy expedition-weight sleeping bags in the back of the bus. It was a funny picture! Did you try the first ascent of the grand central couloir on Kitchener that winter? Yeah, we did. First a chinook came in and everything melted so we had to come back down. Later I went up with Adrian and Alan, and partway up, Alan’s ingrown toenail started bothering him, so we went down. Adrian and I made it up into the narrows of the couloir – quite a ways up – before my ice axe broke and all our ice screws started breaking because it was so cold. After enough equipment had broken, I said, “Let’s go down and get some better equipment.” Just as we were rapping out, this huge avalanche swept the whole gully with snow and rocks. We were very lucky to have come down when we did. Aid and Al are very fit climbers who’d had a lot of experience in the Alps, more than the rest of us did at that time. They knew what it was like to be on a big face like Kitchener. It was very instructive climbing with them. 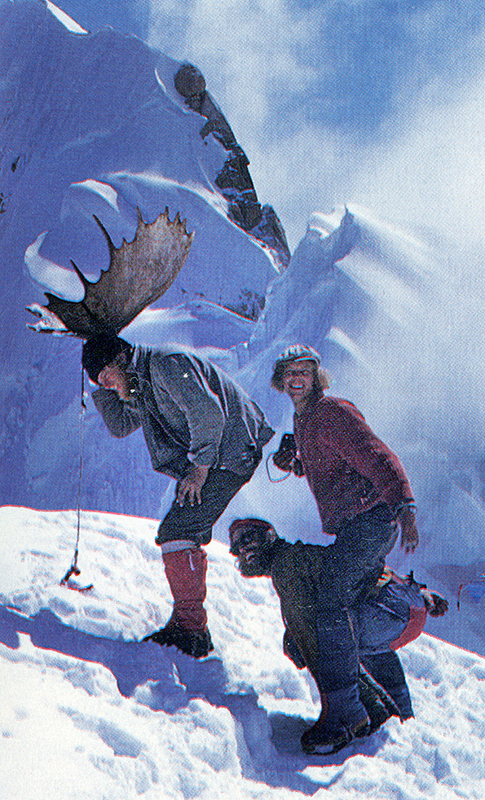 In June, 1974, you did the first climb of the southwest wall of the Moose’s Tooth northwest summit. Was that your first attempt at applying Yosemite big-wall techniques to an alpine face? Yes. Gary Bocarde had been up there the year before, scoping it out. It’s an incredibly beautiful face, at least 2,500 feet high, with some rotten rock near the summit. We did an El Cap-style climb with no fixed ropes – one of the first attempts to apply this type of big-wall technique to an Alaskan face – and carry a moose antler to the top. Then in 1975 you went to Baffin Island to solo Mt. Asgard? I had planned to solo the route. I arrived in Pangnirtung in July. It took a month to backpack all my equipment – all the ropes and pitons and canned tuna. While I was hiking in, Rick Sylvester helicoptered in do a Seagram’s Whiskey ad that would show him ski jumping off of Asgard – which he ended up not doing at that time. Then he and Craig Martinsen attempted to do the northwest face route I was after, but they failed. They put some more bolts in Hennek’s bolt ladder (Dennis Hennek and Doug Scott had gone in to attempt the northwest face in 1972, but figured they had to bolt it and didn’t want to bolt a virgin face.) and started bolting the dihedral, but I don’t think they even got a pitch off the ground. I started 100 feet to the right of the blank dihedral they thought they would have to bolt up, then pendulumed over to the dihedral after two or three pitches. I had made a little Whillans box [tent] from some scrap lumber at Summit Lake, and I carried my Whillans box up on the route with me, just like Whillans had in his Torre del Paine ascent. I soloed above the dihedral, fixing a bunch of pitches. We did a few more pitches, but it started snowing and they weren’t very well-prepared for the cold, wet weather. We had to rap down. We’d left no fixed roped higher up, so I had to re-climb the pitches when I soloed the thing. It took me nine days, during which I found a lot of nice, steep ice climbing. Close to the summit I encountered a very bad storm. I had left my double boots down below, and was climbing in Robbins rock boots, so I froze my feet really good. All this atmospheric, Patagonia-type ice formed on the rope, so the jumars just slid right off. You had to lick them to get them to bite. It was pretty wild. As I got to the summit, the storm finally stopped and I bivouacked. The northern lights came out – the first time I’d ever seen them. It was September 10. I down-climbed the Swiss route, got down to Summit Lake and my feet swelled up with a combination of frostbite and trenchfoot! I had to wait for them to get smaller, then I cut my boots open and sort of crawled and hobbled [many miles] down the fjords where I was met by the Inuit and their boat. I’d run out of food about ten days earlier, and the first thing they gave me was a Pepsi (laughs). Most of your climbing experiences took place in either North or South America. Had you ever planned on making it to Asia? After I soloed the Cassin Ridge in 1976, I hoped to go to the Himalayas to be the first American to solo K2 (laughs). But I went back east after I soloed the Cassin and ended up working construction, and I was never as fit as I was after the Cassin. If I had stayed out west and stayed in fairly good shape, maybe I would have tried it. Though I’ll have to admit that I got pulmonary edema on the Cassin, so who knows? Maybe at high altitude I don’t do so well physiologically. Porter, stalemate with the weather, Middle Triple, 1976. Photo: Rus McLean. Maybe you went up too fast because you weren’t belaying? Oh, I went up too fast! I passed some Japanese at the top of the Japanese Couloir. They had a pressure cooker going and were chopping fresh vegetables on a wooden chopping block. Naively, I said, “Hey, guys! Don’t you know the way to do these things nowadays is to go fast with a 20-pound pack?” They looked at me as if I was crazy and one of them said, “When we finish the climb, we have to go back to Tokyo. We do not want to go back to Tokyo.” They were into enjoying the mountain, which I thought was a very healthy philosophy. I went on up to 16,000 feet, above the Rib Pitch. That night I had a splitting headache and at about one o’clock I started vomiting (laughs). I thought I could die there, so I down-climbed the whole thing. Immediately after the Cassin, you called Russ McLean to come try Middle Triple Peak? After I soloed the Cassin Ridge in 1976, I hoped to go to the Himalayas to be the first American to solo K2. That summer I had planned to solo the Cassin and climbed the west face of Middle Triple Peak and the north face of Mt. Hunter. Middle Triple’s west face is the biggest face in the Kitchatna Spires, as far as I could tell. Everybody had looked at it and just turned away. At the time, the peak had not been climbed, so to do the first ascent by the hardest face instead of trying the easiest one first seemed like a good evolution in climbing. In June  there were still all these boxcar-sized chunks of snow under the overhangs, and they were coming down. At one point you’d just taken off your helmet to pull off your cagoule when you got hit on the side of your head, shoulder and hand with some ice, which broke your hand. It didn’t bother me too much until I had to drill a few bolts holes to put in some rappel anchors. Holding the drill handle and hammering away – boy, did that hurt! That was the end of that summer, because I couldn’t use my broken hand for climbing. Did you give up, on Hunter, then? I came back to do it the next year  with Gary [Bocarde], but he’d had a skiing injury. When we got about halfway up the couloir, his ankle started acting up, and we had to come down. I’d still like to do it. For me it’s the obvious route on the north face of Hunter. Fooling around to the right you can go anywhere you want, but if you like a route that really draws you in, the couloir is classic. For over ten years I’ve lived in Chile, in the northern end of the Patagonian fjords, where I’m involved in the various research projects. We support scientific teams, in fields ranging from marine biology to botany and archaeology, from glacial and tectonic geology to paleoseismology, etc. Every year I come back to the States for a few months, to do library research, to see which other scientists are working on the same types of projects in other areas of the world and to try to interest some of them in coming down to do some work. What first brought you to Patagonia? I originally went down in 1978 with Russ McLean to climb the east face of The Fortress. It was my last somewhat organized attempt to do a wall in a far-off place. I had also taken a Klepper Aerius II kayak (it was actually a kayak that was modified with sculling oars and a sliding seat) and, after our three months in the Torres del Paine, I rowed about 200 miles through the fjords, mapping the Indian portages. Those trails are up to 6,000 years old and no one else had been across them. I spent about a year mapping a general natural history survey of the region, and finished by rounding Cape Horn in my kayak. That was a lot of fun. I spent a few weeks on Cape Horn Island itself, where I got the idea to row to Antarctica, a project I initiated with Ned Gillette. Patagonia is virgin territory where one can make rudimentary collections and actually contribute to scientific knowledge. It sounds like really wild country. It’s like Alaska was 100 years ago. A lot of interest is being generated in the fjords. You can do interesting work and, on your day off, do a first ascent of a beautiful peak. Great fishing! Some of the best salmon fishing in the world. For the past five years, aquaculture has been a big thing. Chile’s southern fjords are the number-two producer of cultivated salmon in the world. It’s a very unspoiled, very wild region with a lot of opportunity for just about anything. Including climbing big walls (laughs). Do you do any technical climbing? I climbed Cerro Cono in March. We were doing some tectonic geology in the region, so I sampled the mountain. The first ascent had been done by Charles Darwin and I did the second ascent, confirming that Charles Darwin climbed 5.10 (laughs). He must have been more than fit enough to survive! What prompted your recent return to Yosemite? I had been in Florida for a month or so outfitting this steel schooner that we’re going to use in our research programs. I got a little tired of the heat and the flatness, so I figured that the best cure would be to go to the mountains. Yosemite came to mind. 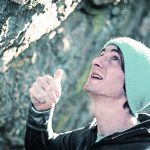 I was curious to see how climbing has evolved during the years I’ve been away, and to see if there were any old climbing friends still there. I discovered that there are quite a few! Are you surprised how popular climbing is? A little bit. I came into the Valley late one evening and looked up at El Capitan and, my gosh, there were headlamps shining all over the place up there! That was something I’d never seen before. The next day I hiked up along the base and there were climbers everywhere! They all seemed to have a very good attitude; they were into the spirit of living up on El Capitan for a number of days, and enjoying it. In that way, I don’t think climbing has changed very much. 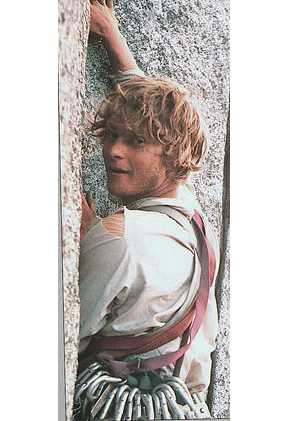 I’d like to get back to some pure rock climbing again. I’d like to torture myself on a nice hot wall and see what it feels like after 20 years. In Patagonia I’ve been doing alpine ascents, but I haven’t actually nailed myself to any big cliffs recently. I’d also like to do some of those sport routes that Mark’s been showing me. I don’t even know if I could get off the ground, but I’d be willing to give it a try. It looks fun. The hypocrisy of the U.S. embrace of comp climbing. Adam Ondra in spandex. And arm wrestling with Jakob Schubert…. 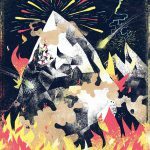 Is climbing ready for the Olympics? You decide.